This Thanksgiving, Bob and I took a walk at the Arboretum; we walked the Greenbelt Trail. Look at this cool tree we came upon! 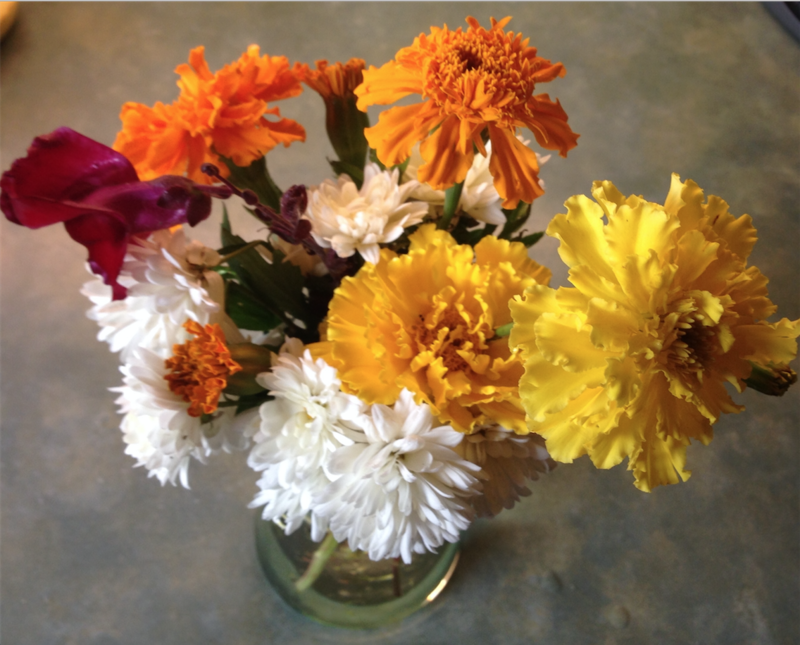 Later that day Bob made a centerpiece from flowers he found in our yard. Our friend Margie also sent us a photo of a similar idea for a centerpiece that she made from flowers in her yard. My friend Margie's centerpiece from Thanksgiving. It was all found in her background! This is the centerpiece from Thanksgiving, also all found in our yard. This tree was on the North side of the arboretum, near the West Brook Soccer Field on the Greenbelt Trail. Posted in Our Garden and tagged 2016, Arboretum, Flowers, Garden Tour, Gardening, Gardens, Greenbelt Trail, LI, LI Gardening, Long Island, Thanksgiving, VanDyke, VanDyke Gardens, VD Gardens.